Product categories of Fiber Coupling Laser, we are specialized manufacturers from China, Fiber Coupling Laser, Fiber Coupled Laser suppliers/factory, wholesale high-quality products of Infrared Fiber Laser System R & D and manufacturing, we have the perfect after-sales service and technical support. Look forward to your cooperation! 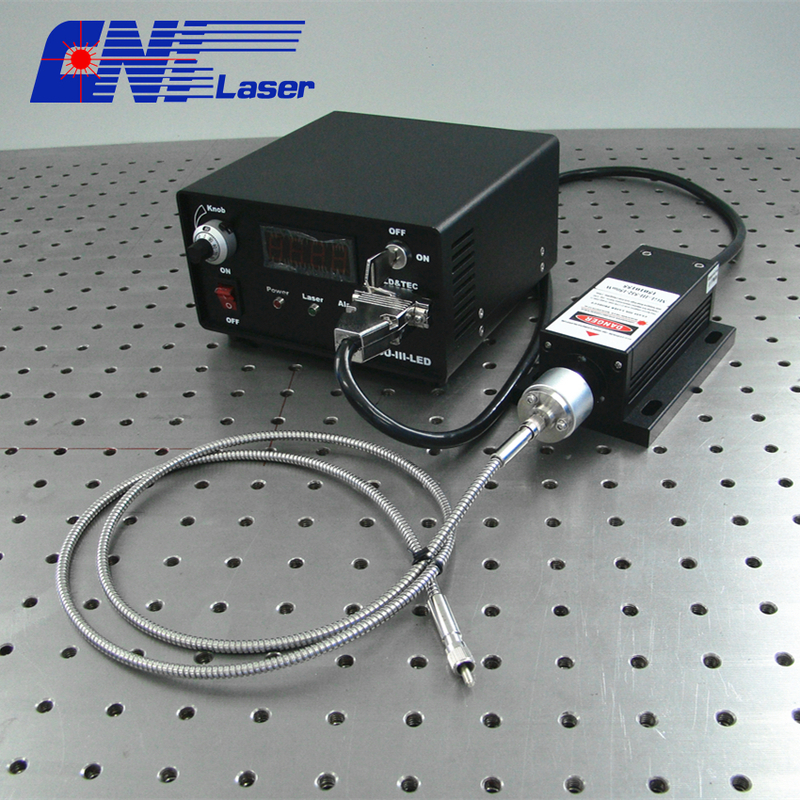 All series CNI Laser modules can be fiber coupled with different core diameter MM fiber or SM fiber. You have to refer to the detailed specs of each laser modules (such as power, stability, noise, size, etc) to decide which one is suitable for your application. We would like to do the coupling job for you. The collimator of Fiber Coupling Laser is designed to connect to the end of FC/PC or SMA905 connector and contains an AR-coated spherical lens. The distance between the spherical lens and the tip of the FC-terminated fiber can be adjusted to compensate for focal length changes, or to re-collimate the beam at the specific wavelength and distance of interest.